The variety of options offered by Joomla is impressive. With its assistance, a user can create the content, design it, and manage online. The latest research proves that this system was downloaded over 2,500,000 times from around the world during the very first year of existence. From 2007 to 2011 it was downloaded 21,000,000 times. And today, it has nearly 6,000 commercial and free add-ons. Does it mean that regular users know more about Joomla history than others? Unfortunately, it doesn’t. So, what are the things you need to be aware of, and what people managed to make the system worthy? At the beginning of the 2000s, Miro created a content management system and called it Mambo. The world saw the new tool after it was released for free under the GPL and was rather warmly welcomed by users and enthusiasts from around the globe. However, in 2005 there appeared a dispute with the committee concerning the copyrights, which was a sort of a push for a Mambo team to quit. This fact didn’t make the system disappear; it was reborn as Joomla or a code fork, a new version that started developing in a bit different direction. 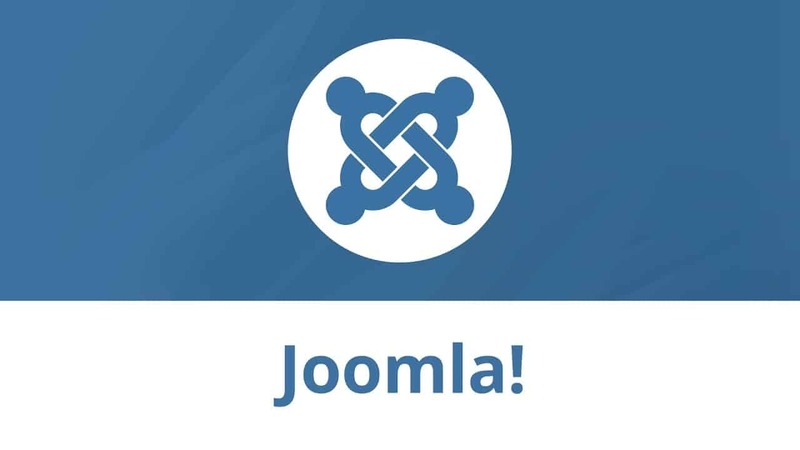 What does the strange name ‘Joomla’ stand for? It is a phonetic spelling of ‘jumla’ — ‘all together’. The very first version came into existence the same year and was a sort of a rebranding with numerous fixes. During the next 24 months, 14 different updates took place. Most of them were rewarded: for example, in 2006, 2007 and 2011 the project got the Packt Publishing Open Source Content Management System Award. The success was amazing and it drew the attention of the entire CMS community: in 2008 Johan Janssens (one of the developers) became the Most Valued Person, and a year later the same title was assigned to Louis Landry according to Packt Publishing. Mambo belonged to Miro International Pvt Ltd. The committee decided to build a non-profit foundation and guarantee its protection from possible lawsuits. Yet, the team of Mambo developers declined the cooperation with the new foundation as most of the new standards broke previous agreements. As no consultations and discussions were organized, open source values were violated and a decision-making process was closed, the developers announced their refusal to cooperate. The group led by Andrew Eddie broke their contracts and quitted. Soon they applied efforts to develop OpenSourceMatters.org where they informed of the appearance of a new community. No need to say that OpenSourceMatters.org attracted thousands and thousands of disputes. That didn’t stop guys from working on a new project — Joomla. All versions that have been launched since 2005 were minor ones. For three more years the team has been working on a major one — 1.5 with a completely new level of powers and features. Joomla got its new API and turned into an international system that has right-to-left languages and support for an extended set of characters. Along with other vital options, the developers were proud of the system’s template control, extensibility as well as usability. No matter how effective the tool is, it needs reconstruction. When it is done on a regular basis, the system keeps floating. If it is done professionally, the tool takes the leading positions. A year after a big break, the developers announced the restructuring of the system. They aimed at increasing efficiency and productivity of Joomla. Soon the leadership team was replaced by the core one that was responsible for the creation of the very first content management system. The team rebuilt the project in a way for it to be more involved into the community, projects, and activities. This sort of approach increased participation in the development process and allowed accomplishing more vital tasks within a short time frame. Today Joomla is one of the leading content management systems. Its core principles are the healthy evolution of society and free access to any sort of information. The separation from Miro allowed the newly organized team to forget about the provisions that could violate the main values of the open source of data. Now they don’t lack consultations and can organize the structure in a way to ensure a positive user experience. These days, Joomla is said to meet all basic and many extra requirements working for the development of the IT and data dissemination to all corners of the world. This essay is willingly provided by https://www.domyessay.net online paper writing service which helps students with academic writing 24/7. Anna Hood, Tammy J. Eschedor Voelker, and Joseph A. Salem, Jr., 2008. “Using metadata to design a database–driven Website,” Cataloging & Classification Quarterly, volume 46, number 4, pp. 385–411. Cory Webb, Beginning Joomla! Web Site Development, Wrox Wiley 2009. David Kane and Nora Hegarty, 2007. “New Web site, new opportunities: Enforcing standards compliance within a content management system,” Library Hi Tech, volume 25, number 2, pp. 276–287. Jennifer Marriott and Elin Waring, The Official Joomla! Book Addison-Wesley Professional, 2010. Marni Derr and Tanya Symes, Visual QuickStart Guide: Joomla!, PeachPit Press, 2009. Mohammad Nasir Uddin and Paul Janecek, 2007. “The implementation of faceted classification in Web site searching and browsing,” Online Information Review, volume 31, number 2, pp. 218–233. Susan Goodwin, Nancy Burford, Martha Bedard, Esther Carrigan, and Gale C. Hannigan, 2006. “CMS/CMS: Content management system/change management strategies,” Library Hi Tech, volume 24, number 1, pp. 54–60.